What Cool Word Have You Read in a Book Recently? meaning soft murmuring or rustling sounds. It’s not a word I read or use every day. I enjoy coming across a cool word when it happens once in a while. I don’t like it when an author goes out of his/her way to use uncommon words. I like the book to read well (for me). But when the best word to use happens to be uncommon, the ‘best’ word is still the ‘best’ word. When I don’t recognize the word and the author includes a little clue to help deduce the meaning, I like it even better. In the case of the book I was reading today, it was great: The book is quite readable, the word felt (to me) like it belonged, and I could tell what it meant from the context. Please share a cool word that you read in a book recently, including the title and author of the book. Surely, the author deserves a little publicity for helping you enjoy the word. Consider the following Tale of Two Stores. You walk into a department store. What do you see? Sony. Levi’s. Apple. Nike. LazyBoy. Everything is branded. You’re in a big business. Many of the products for sale were manufactured by big businesses. Ultimately, people were involved at some stage: design, manufacture, assembly, shipping, merchandising, advertising deals, etc. Much of the work may also have been automated. Now you walk into a bookstore. Obviously, you see thousands of books. And there are big brands around, if you look closely enough to see the names of the popular publishing houses. Yet the experience is vastly different. Most of the books were conceived of and written by, to a large extent, a single human being. You’re surrounded by thousands of such works. They share unique experiences. They store knowledge. They weave words together in unique ways. Shopping for books, and reading, these are very personal experiences. Think about that the next time you’re browsing for a book to read. Even if it’s not in a bookstore. At Amazon, for example, when you’re searching for a book in your pajamas, you have millions of books at your fingertips. And each work offers a personal experience for you. Not all of the books are published by the big publishing houses. Many are published by small, even family run publishing houses. Well over a million are published by indie authors. When a single author handles not just the writing, but also plays the supervisory roles of cover design judge, editing overseer, interior design judge, marketing coordinator, etc. 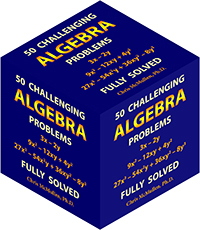 (perhaps even doing much of this work independently), the experience is arguably even more personal. I’ve read several indie books lately, and I enjoy that personal touch. From unique chapter headers to the little thank-you notes in the back of the book, I appreciate how their personal touches spread from cover to cover and even show on the product page (not just in the author’s biography, but in the product description and selection of editorial content). Many indie authors have learned, through experience or by necessity or by motivation (or probably a combination of all of these), a great deal about marketing. One of the points that many authors agree on is that the author himself or herself can become a very strong brand. That’s because readers aren’t just looking for a story or knowledge. Shopping for books and reading can be personal experiences. A book is much, much more than a mere product. Click here to view my Goodreads author page. I take a long-term approach to book marketing. My goal is to generate periodic sales over the course of several years. I’m more interested in how well the book sells years after its release than how well it says when it makes its debut. Granted, a book often gets its best traffic in the beginning, so anything you might do to improve that could be a significant boost. But if you can get the book to sell consistently for years instead of tailing off, time can provide a huge boost of its own. That’s the potential of organic book marketing, if you can pull it off effectively. Organic book marketing also doesn’t tend to be depend as strongly on the latest marketing trends. There are some fundamental marketing strategies that work long-term even in a dynamic market, whereas short-term strategies tend to be trendy. We’ll consider several aspects of book marketing, and what it might mean to be organic. As a customer shopping for products at Amazon, if you read customer reviews, would you prefer to read organic reviews? I would. What makes a review organic? A customer discovers a book. The customer takes the initiative to review the book. The customer leaves genuine feedback for the book. Amazon considers a review to be more organic when the customer discovers the book on Amazon.com and the review shows the Verified Purchase label. Amazon’s new machine-learning algorithm, which determines which reviews get more exposure, favors a Verified Purchase. The machine-learning algorithm looks at more than just whether or not the review is Verified. For example, it also looks at Yes vs. No votes. There are multiple factors. In general, most of these factors favor organic reviews. Obviously, when a customer discovers a book in a bookstore, reads the book, and leaves a review on Amazon, it’s just as organic. Although it won’t have that Verified Purchase tag, potential customers will see an honest opinion to help them with their purchases. Even if the customer discovers the book because the author employed effective interpersonal marketing skills, it’s still an organic review if the customer leaves unbiased feedback. In fact, customers are more likely to review a book having interacted with the author. The problem, of course, is that customer book reviews often come at a very slow rate. It can take 100 to 200 sales, on average, to get a single review. (These numbers may vary considerably, depending on subgenre, for example.) And if the book is selling one copy every few days, that may very well seem like never. And some book promotion sites, like BookBub, require a minimum number of reviews. Thus, authors are tempted to look for less organic methods of seeking reviews. Suppose a book has a sales rank of 1,000,000, was released 30 days ago, and already has 20 reviews. It may seem suspicious. Organic reviews tend to show a degree of balanced opinions, and a few tend to be off-the-wall. There is a certain variety of opinions and the expression of them typical of Amazon. Checking out what else the reviewer has reviewed can also seem to tell a tale. If you can find effective ways to generate more sales, that will help to generate more organic reviews. And then there is always review karma. This philosophy is to post reviews of books you have read, and hope that the universe returns the favor. But that’s different from swapping reviews with fellow authors, which is not organic (and Amazon may choose not to support). The idea behind content marketing is to post valuable content for your target audience on a blog, website, or social media. Organic content of high quality can generate significant traffic long-term, and is less susceptible to the latest trends in SEO. In fact, SEO trends tend to adapt toward identifying organic content and eventually penalizing any SEO tactics that aim to “fool” search engines. Also, organic content is more likely to please its target audience, and result in organic followers. And no followers are better than organic followers. An organic follower is someone who discovers your content, enjoys it or finds it helpful, follows you, and is actively aware of your future articles over a long period of time. My free WordPress blog just passed 300,000 views. It generates about 1000 views per day, presently, with most of the visitors discovering articles through search engines. And if you look around, you can find many other sites far more successful than mine. It takes months to make content marketing work, but if you deliver valuable content to your target audience, there is much potential to get 100+ strangers to organically discover your site every day. This is what organic book marketing is all about. When several people you have never met advocate your book on your behalf, organic book marketing can pay big long-term dividends. But while it can be the best kind of marketing a book can get, it’s extremely hard to generate. To get valuable word-of-mouth sales, referrals, and recommendations, you have to approach book marketing backwards. Short-term book marketing says you need a great cover, then you need a blurb that hooks, then a Look Inside that compels the customer to buy the book, and last on the list is the actual content. Organic book marketing says that the most important part of the book is the content, and everything else revolves around this. Fiction authors need storytelling talent. Nonfiction authors need compelling information. All authors need to write in a way that pleases readers. And the book needs to be well-edited and formatted in order to be worthy of a recommendation. But the content is still foremost. True, nobody will enjoy the book unless they first discover it, so the Look Inside, blurb, and cover figure into this. But the approach is to first develop compelling content that will pay long-term dividends, and then build the packaging around that. Organic book marketing also tends to be favored by Amazon SEO. For example, many customers search for books by typing keywords into the search field at Amazon.com. There are several factors involved in determining the order of search results. Some of these factors specifically favor organic book marketing. For example, when customers search for books by keyword, click on your book, and then purchase your book, that organic sale establishes relevance for your book with that keyword. The more organic sales you generate through keyword searches, the more exposure your book gains this way. That’s why it’s so important to research (by that, I mean type a variety of keywords into Amazon, to see not only what’s popular, but where you have a chance of standing out among the crowd) which keywords have the best potential to give your unique book exposure. If your keywords also appear organically in the title, subtitle, and book description (especially in bullet points)–though repetition may not help (other than the keyword from your keyword list matching a keyword in your description)–this may help your book compete in keyword searches (but remember, there are other factors too). A keyword dump in your title or description will backfire. That’s not organic at all, and customers see that something is fishy. If you want to sell books, your title and subtitle need to make sense, and the description needs to read well and hook the reader without giving the story away. How well does this book sell when a customer discovers it for the first time on Amazon? How satisfied are the customers who buy this book? 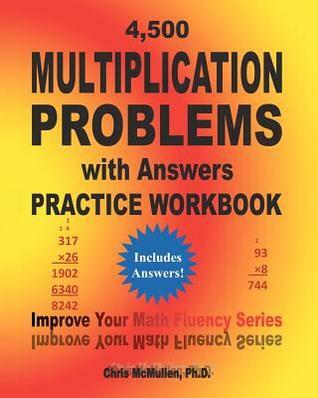 How many customers who buy this book go onto buy more books like this one? Maybe it can even differentiate among customers, i.e. which kinds of buying history appears to be a better fit for a given book. When a customer is searching for a book on Amazon, obviously Amazon would prefer to show customers books that perform well in these areas. For this, you want to have a good conversion rate, which means the cover > blurb > Look Inside need to correlate well and be quite compelling, but you also need good customer satisfaction, but delivering exceptional content. An organic approach to book marketing oriented around these points can pay significant long-term dividends. Organic book marketing places more emphasis on the writing. For marketing, there are ways to go about it that appeal to writers, like preparing content-rich articles relating to the topic of your book or writing content-rich emails for a newsletter (which allows you to send an announcement for your next book when it comes out). Much of organic book marketing consists of writing your next book and writing content for your site or email newsletter. Not 100%, though. You also want to widen your marketing net. But you can devote a little time each week to this, while still putting most of your time into writing. You also need to do a little personal marketing, especially in the beginning, as that personal touch can go a long way toward getting the ball rolling in the beginning. Organic book marketing can start out very slow, with no guarantee that it will ever pick up. If sales do start out very slow, it takes strong faith in your writing to keep believing that the content is compelling enough to pay off several months down the road, if only you can weather the storm, keep writing, and drive enough initial sales to eventually get there. But this approach does let writers focus on what they love to do most: write! Many advertising and marketing concepts can be understood, and then applied, by considering this one word: relevance. And what a difference relevance can make. Yet, very often, the advertiser or marketer hasn’t given this concept due consideration. In your wildest dreams, your audience is anyone who has a head. But in reality, you throw your money away with such thinking. Unless maybe you’re selling hairbrushes. But even then, you’re wasting money showing your advertisement to people who are bald, strongly prefer combs, or don’t care about their appearance. Can you imagine walking into a covenant to sell a book about how to plan the perfect spring break vacation? Well, it’s not much different when 80% of your audience glances at the cover of your sci-fi thriller and expects it to be a western. If it looks like a western, it probably is a western, so if you’re looking for sci-fi, why waste your time checking it out? When there are other sci-fi books that actually look like science fiction. The most important goal of book cover design is to create a cover that is relevant to your specific target audience. There are two ways to approach the combination of writing and marketing that have good prospects for success. If you can execute your approach well. * You don’t have to write for the most popular audience. It can be a niche audience and still be quite successful. Billboard advertising doesn’t make sense for most books. Even though many people do read, only a fraction read any particular genre, and some of those readers are biased towards certain authors or subgenres, so that the majority of the people who see the billboard advertisement result in wasted impressions. On top of that, the sale of a single book usually results in a low royalty, so you can’t afford wasted impressions. But if you sell automotive parts and advertise on a billboard overlooking a highway, nearly 100% of your audience drives a car, so even though many prefer to get their service done by a dealer or a mechanic, the advertisement is more effective because of the greatly improved relevance. On top of that, most advertising largely involves branding, which requires repeated impressions over a long period of time. With advertising, the importance of relevance gets compounded through this repetition. Where should you advertise your product (or service)? Think long and hard about where it would be highly relevant to show your product. Customers are already there browsing for similar products. You’re not trying to persuade them to stop what they’re doing, leave one site, and visit another site. To get the most out of AMS, focus on relevance. All else being equal, Amazon is more likely to show AMS ads that generate and maintain a high click-through rate. That’s a strong indication of relevance. Precise targeting makes your ad more relevant to the customers who view it. A cover that conveys the precise subgenre/subcategory and content at the tiny size shown in the ads is a big plus. The short marketing pitch shown with the ad can also help to convey relevance. Thus, relevance can help you generate impressions without raising your bid sky high. Ultimately, the blurb, the rest of your product page, and the Look Inside must also be relevant to convert clicks into sales. I use a free WordPress blog. I will soon pass 300,000 views (if I haven’t already), as I average 500 to 800 visitors per day finding my blog through search engines. My goal has always been simple: Provide helpful content to anyone interested in self-publishing. If the content is relevant to your audience, you have a strong organic marketing edge with much potential for long-term success. Relevant content will naturally include the right keywords and keyphrases, lead to recommendations and referrals, generate followers, and encourage discussion. You can blog successfully with short articles. What matters is that the content is relevant and helpful. Trying to “fool” search engines into thinking that an article is relevant when it’s not won’t lead to long-term success. To help close the sale, the blurb needs to implicitly convince the customer (with help from the Look Inside) that the content is relevant to the buyer. It must reinforce the subgenre/subcategory and content conveyed by the cover, title, category, and keywords. The style of writing and storytelling must also be relevant to the customer. It needs to be the kind of story and characters that the customer wants to read. Without giving the story away. Because once the customer knows the story, it’s no longer relevant. Fiction blurbs need to be short, while nonfiction blurbs should highlight important points with bullets, since the customer doesn’t want to waste time—not yet sure if reading the blurb is relevant or not. Why did you write the review in the first place? You felt strongly about the book. You felt that the book deserved recommending. You wanted to help other customers make wise shopping decisions. That doesn’t prevent you from accomplishing your original goals. Recommend the book to people you know. Word-of-mouth recommendations are like GOLD. They can be better than writing a review on Amazon. If your goal was to recommend the book, nothing is stopping you from doing so. Review the book on Goodreads. It’s the next best thing to reviewing it at Amazon. Contact the author. Not to complain about the missing review. Authors appreciate feedback and hearing from fans. Offer to let the author use your positive comments on his blog, in the front matter, or anywhere else the author might be able to benefit from a review snippet. Reviews have many other potential uses besides sitting on the Amazon product page. Do you have a blog, Twitter account, or Facebook account? Share your review with your followers. Since Amazon DIDN’T publish your review, they can’t prohibit you from sharing it. Follow the author on Amazon. Just visit one of the author’s books, scroll down to the author’s biography, visit the author’s author page at Amazon, and click the big yellow Follow button on the top left. If you liked the book, you might appreciate having Amazon send you an email the next time the author publishes a book. Follow the author’s blog, social media, or email newsletter. You can be one of the author’s fans. Review the book on Barnes & Noble, The Book Depository, or other retailer where the book is sold. Although you could contact Amazon to ask why your review was removed, this really isn’t proactive. You’re probably going to get a vague response, if any. You’re probably not going to convince Amazon that they made a mistake and reinstate your review. Most likely, you will waste both your time and Amazon’s. Very often, the author doesn’t even know that it happened. Amazon automatically blocks many reviews, such that they are gone before the author has a chance to see them. And if the author “knows” that a review was blocked by Amazon, chances are that the author has some connection with the reviewer and Amazon “knows” of this connection. If a customer informs you that they posted a review, but Amazon blocked or removed it, you can offer the suggestions that I listed above (like posting the review on Goodreads). If the reviewer has any authority, experience, or expertise relevant to your book, you may be able to include it in the Editorial Reviews section on your Author Central page. With the customer’s permission, you might be able to use a review snippet in your front matter, back matter, on your blog, etc. If the reviewer is an author in a related genre, they might be willing to write a foreword, for example. If you were able to see the review before it was removed, or if the customer contacted you directly, you may still benefit from the feedback. Thank the customer for trying. Thank the customer for contacting you. THANK the customer if he or she does any of the alternatives that I suggested in the previous section. Contacting Amazon to complain about it probably won’t be helpful. Amazon will only offer an explanation to the customer, not to the author, and the explanation given to the customer will probably be vague. You’re probably not going to convince Amazon that they made a mistake and get them to reinstate the review. Arguably, the best way to get reviews is to (a) write the book as well as you can, and polish it as well as you can (b) learn how to market your book effectively. The more sales you earn through marketing, the more likely customers will leave the variety of genuine reviews typical of Amazon customers, and those are probably the best reviews that you can get. You might only get about 1 review per 100 sales, on average. Friend and family reviews (and worse kinds of reviews) plagued Amazon several years ago. Things got so out of hand that there were prominent articles featured in the Wall Street Journal and the New York Times. This prompted Amazon to take action. It’s estimated that millions of reviews were removed, and many more have since been blocked. It’s much better now, from the customer’s perspective, than it had been just before Amazon began blocking and removing suspected customer reviews. Yes, there are a few casualties, i.e. reviews that shouldn’t be removed. 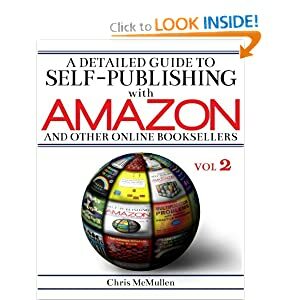 In order to market their books effectively, indie authors must interact with customers online and offline, and those online interactions occasionally confuse Amazon into removing a review that they really shouldn’t have removed. Another perspective comes from sales, both short-term and long-term sales. Amazon doesn’t want recruited reviews to FOOL customers into buying BAD books, as that would cripple long-term sales. Authors seem to think that they need more GOOD reviews to sell more books in the short-term, but this may not actually be the case. Amazon has the real DATA. Maybe, in general, Amazon not only sells more books in the long-term, but even sells more books in the short-term with their current block-and-remove suspected favorable reviews policy. We can speculate. Amazon has the actual data. And Amazon is highly effective at selling books. Amazon is highly effective at selling indie books, too. But again, it doesn’t help to get upset about it or complain about it. Find something proactive that you can do instead. Is your book full of hooks? If you don’t understand the question, don’t worry. I’ll explain it shortly. After I ask a different question. Why did you read this article? I realize that you haven’t committed yet. At any moment, you could walk away. And so could customers when they check out your book. Remember that. Did the title or image with this post grab your attention? Did it make a promise, like more book sales? Obviously, the beginning held your interest long enough for you to reach here. A hook is something that catches your potential reader’s attention, arouses a reader’s curiosity, or engages your reader’s interest, for example. 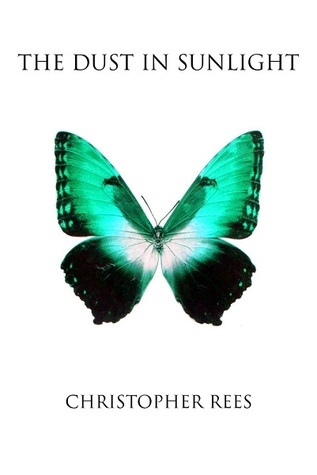 Anything that encourages potential customers to read your book effectively serves as a hook. Your title can actually have three hooks. (1) One hook comes from making a catchy title, a phrase that snaps the customer out of a trance. (2) Another hook conveys what the book is about, so when the customer reads the title, the customer knows the genre or subject. Be sure to put the right bait on your hook. (3) Any keywords in your title, subtitle, or series name help to hook readers through keyword searches. But you must balance this with 1 and 2. Also, shorter titles tend to sell better in fiction. Your cover is another hook. For every 1000 or so customers that see your book cover, 1 may actually check out your book. It could be 1 out of 100. Or it could be 1 out of 10,000. But the difference can be huge. A cover also has multiple hooks. (1) What kind of book is this? That’s what every customer wants to know without having to work for it. Make it so easy that a customer can tell at a glance. (2) Even subconsciously. The right color scheme and font actually impact shopping behavior. It’s worth a little research. (3) Reinforce the title by making the most important keywords stand out even on a tiny thumbnail. Your blurb is all about hooks. A customer reading your blurb is not committed. Not even to the first line. (1) The first line of your blurb can send 90% of your potential customers out the door. It’s your pick-up line. Pick this book up, please. But you have to be subtle. You need to arouse curiosity. Wake the customer from a trance, but use language the customer wants to hear. Make your blurb the dream date the customer has been yearning for. (2) You need to reinforce the subgenre or subcategory. The customer isn’t sure what kind of book this is. The title and cover create expectations. Don’t forget to make this clear in the blurb. Early in the blurb. (3) Concise is your friend, especially for fiction. Short sentences. Short blurb. Yet containing all the info the customer wants to know: What subgenre (implicit, but clear)? Engaging content (show it by example). What features will sell your book? Make these features—no, make the benefits of these features—clear, but be concise. For nonfiction, bullet points help break a long description into easy to identify points. (4) Cut out the material that customers don’t need to know, so only the hooks remain. For example, does the customer really need to know the names of multiple characters when just checking the book out? (5) Whatever material remains, make it seem more engaging. Trim and engage. Repeat. (6) Don’t spoil fiction. Definitely, don’t give away the ending. But don’t give away anything if you can avoid it. You don’t want the customer to feel like he or she already knows what will happen at some stage. Not knowing can help you sell books. There are words for this: Curiosity. Suspense. They are sales tools. Your Look Inside is that last hook between the customer and a sale. Or walking away. And again, it should be full of hooks. Minimize the front matter to essentials that help sell your book, so the customer can reach the “hooks” without distraction. (1) The opening line is like the first line of your blurb. Many shoppers don’t get past that first line. (2) The customer isn’t committed to your book. The beginning needs to arouse curiosity and engage interest. Come out with your best stuff. Will a non-committed shopper read a lengthy build-up? You want the beginning to be so good that the customer clicks the magic Buy Now button. (3) Send a consistent message. The title and cover create expectations for a particular subgenre or subcategory. The blurb must reinforce the same message. And the Look Inside must also make this clear. 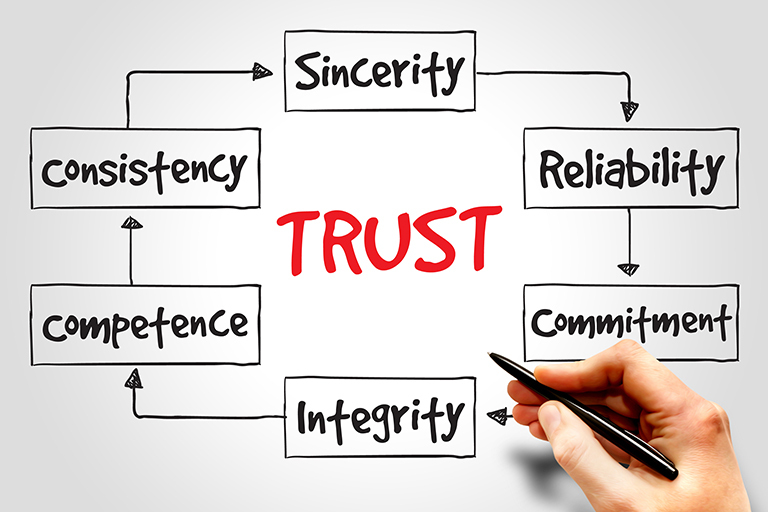 Tell the customer (implicitly), “Yes, you’re in the right place. Now please make yourself at home.” (4) What will sell your book? Suspense? Curiosity? Fascination with a character? Language that flows well? Comb through your Look Inside to remove stuff that may inhibit sales, so that what remains will hook the reader. It doesn’t end there. You don’t just want a purchase. You want the reader to continue onto the next chapter. You want the book to deliver on its promise so that the customer is already hooked on your next book. So that the customer helps you hook new readers. Word-of-mouth hooks are among the best hooks in the business. And the hardest to get. Even the back matter can contain a hook: A captivating sample of one of your other books. Let me back up a bit. Wise choice of keywords (or keyphrases) and categories can help you throw more hooks out into the sea of readers. Hooks are everywhere. If people discover your blog, you want your blog to hook new readers, right? Well, then, your blog needs to be full of hooks. All of your marketing should have hooks. Even a catchy strapline—a phrase or sentence that helps create interest in your book (and also convey the right expectations)—can be used anywhere, even in daily conversations. A great place to practice is with social media. Every blog post, tweet, or Facebook post is an opportunity to practice hooking readers. Learn how to write a title that achieves all of its three goals. Learn how to find images that attract the right audience. Learn how to say a lot in a little by learning how to use tweets effectively. Social media offers a great way to practice, experiment, and learn the art of hooking readers. But also practice from the other side. Practice getting hooked. Practice trying not to get hooked, and find yourself getting hooked despite that. Check out successful books. Books that don’t sell because of name recognition or preexisting fan bases. Find new indie books that grow quickly, for example. Discover books with great hooks. That can help you learn the art of hooking readers. See what kinds of hooks other authors use to hook their readers. Think of writing as fishing. You’re just one of millions of fishermen. Location matters. You want to fish in a spot where there are plenty of fish. So you want to write a book that will attract readers. So write it with the customer in mind. What does the customer want? This question impacts your choice of topic, how you begin your book, how you write your book, how you package your book, etc. There are a million fishing poles out there. You need lures and bait that will attract fish to you. Your title, cover, blurb, and Look Inside need effective hooks. Authors wait patiently for readers to find their books. You need readers. You need them to discover your book. You need them to want to read your book once they discover it. 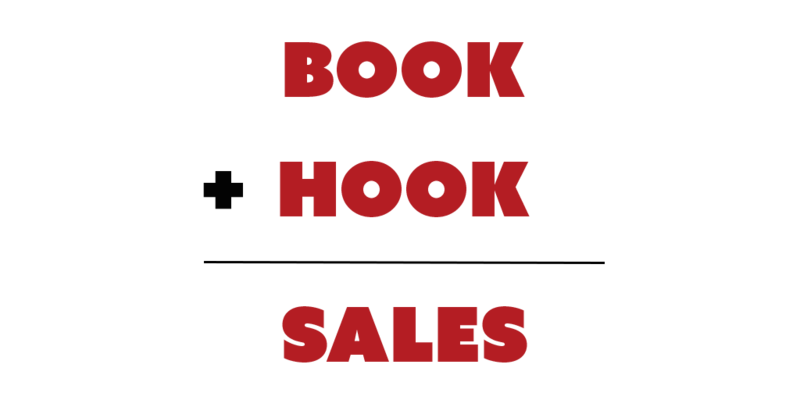 The hooks on your product page and the hooks in your online and offline book marketing all help readers discover your book and decide to read it. Amazon just announced a new tool designed to help authors generate many more Amazon followers. Customers can follow their favorite authors directly at Amazon.com. Unfortunately, most customers don’t think to do this. Customers need to visit the author page and click the button to follow the author. Few do it, presently. Amazon lets you send an email to your Amazon followers after publishing a new Kindle edition. But first, you need Amazon followers. Amazon offered a tool to help authors generate more Amazon follows. Through this tool, Amazon motivated customers to follow authors. Many customers took advantage of this opportunity to follow authors of interest. Amazon follows rose from a mere dozen to hundreds or thousands for many authors. When you publish your next Kindle e-book, you could send an email through Amazon to hundreds or thousands of Amazon followers. This seems like a distinct possibility now. Update: You no longer need a print edition if you publish through KDP. Scroll down to the bottom. Click on the option to list an Amazon giveaway. Everyone who enters the contest now also follows you on Amazon. The next time you publish via KDP, you’ll be invited to notify your Amazon followers of your latest e-book. In the past, you could only generate Twitter followers or require contestants to watch a YouTube video. Now, you can require contestants to simply follow you on Amazon. Finally, Amazon came up with an idea to help authors generate more Amazon follows. Customers don’t have to hunt down the author through social media or newsletters. Follow authors right on Amazon. Customers get a chance to win free print books in exchange for becoming Amazon followers. Authors get exposure through the giveaway and grow their Amazon following. Amazon, of course, sells more books. 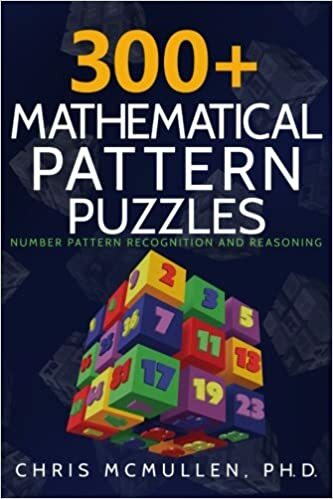 Click the following link or image to enter my Amazon giveaway for a chance to win my mathematical pattern puzzles book. When you enter the contest, you’ll become one of my Amazon followers. It will keep you updated of new books that I publish. 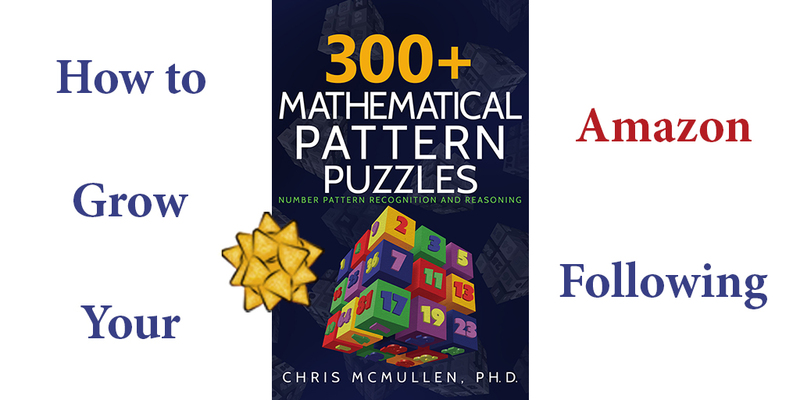 Click here to for a chance to win my pattern puzzles book. When your Amazon Giveaway goes live, tweet about it. Click the link in the giveaway email to tweet about it through Twitter. Be sure to leave the #AmazonGiveaway hashtag in the tweet. This posts your tweet to the Amazon Giveaway page. I’ve had better luck not adding an image directly to the tweet. (The cover for your book will probably still show automatically.) I seem to get more exposure by not including my own image. Add 1 or 2 relevant hashtags to your tweet. What makes customer reviews helpful to other customers, and thereby also helpful for sellers, businesses, authors, and even Amazon? It’s when other customers can trust the review system. Without that trust, reviews become utterly useless. Amazon made its first major improvement to the customer review system in late 2012. That’s when Amazon blocked and removed countless reviews from probable friend and family members of authors. Whatever Amazon did in 2012 was highly effective—perhaps not perfect, but definitely effective. If you watch indie community forums regularly, you know that on a weekly basis new authors complain about missing reviews, and it almost invariably turns out that the reviews were left by friends or family members. Prior to the Great Purge of 2012, Amazon’s customer review system had been getting out of hand, with the problems publicized in the WSJ and NYT. Starting in 2013, the customer review system improved immensely. But it took much longer for word of the improvement to spread. It’s now fairly well-known that customers who are friends or family members of authors generally can’t leave reviews no matter how hard they try, and Amazon is very good at discerning probable relationships. Occasionally, Amazon is a little too good, blocking or removing a review of a stranger who proceeded to interact in the author’s social circles. A casualty of war. Amazon has recently gone a step further toward improving the integrity of the customer review system. Now that friend-and-family reviews are very much under control, the next major problem is the paid review. It’s a clear violation of Amazon’s terms of service for authors to pay for reviews. Examples of reviews that Amazon doesn’t allow. Unfortunately, unethical authors have done this anyway, which hurts the integrity of the customer review system for everyone. Authors often feel pressured into seeking reviews. For one, if the book isn’t selling, an author’s first thought is that maybe it’s because the book doesn’t have any reviews. For another, many popular book promotion sites require a minimum of 20 or so reviews just to receive consideration. The reality is that the best way to get reviews is free and low-cost marketing combined with compelling content. Nothing is better than the natural variety of reviews that you get from just getting sales. Drive sales and the reviews will come with them. But since there are authors seeking reviews, there are also services looking to fill this need. Including unethical businesses and people looking to sell reviews. Again, this is a clear violation of Amazon’s terms of service. Both the business or person selling reviews and the author paying for reviews should fully expect to have their reviews removed, their accounts suspended, and to be at risk for a potential lawsuit from Amazon. Amazon has begun the process by suing 1100 fake reviewers. People selling paid reviews thru sites like fiverr. Customers will be able to trust the review system more. Authors who adhere to the review guidelines will benefit from this improved trust. Companies selling products on Amazon benefit similarly. Amazon benefits, too. It’s a win-win-win-win situation, with the sole exception of those who have been violating the review guidelines. Goodreads has recently improved their Goodreads giveaway program. Authors who sign up with Goodreads can run Goodreads giveaways for their books. Goodreads sends the author a list of winners. The author ships author copies directly to the winners. You can give away as little as 1 copy, so you can get some good exposure for a reasonable price. If you give multiple copies away, it improves your chances of getting reviews at Goodreads (but winners are less likely to post a review on Amazon). One benefit of the giveaway is that hundreds of readers are likely to add your book to their to-read list, which makes your book’s Goodreads page seem somewhat more popular. The giveaway may not have a noticeable direct impact on sales. It can help with exposure and to generate some activity on your book’s Goodreads page. Most of the contest traffic comes on the first and last days. However, the days in between add up, so you get the most exposure for your contest by running it for at least 30 days. You might as well generate as much exposure for it as you can. Many giveaways seem to start on the 1st of the month and end at the end of the month, so if you avoid those days, you might be able to avoid the crowd somewhat. The first and last days of your contest give you the most exposure, so plan these dates wisely. You now choose up to two categories instead of entering tags. This will make it easier for giveaway hunters to find the kinds of books they like to read (unfortunately, you still see the tag system when searching for giveaways, but it seems like this should change over soon). The book no longer needs to be a new release; they have removed the 6-month restriction. When you enter the release date, you choose from a dropdown menu that goes back to the early 1900’s. However, if you run a contest for an older book, you might want to make this clear in the giveaway description so as to avoid possible confusion. You must now schedule your Goodreads giveaway at least 7 days in advance, so plan ahead. The terms and conditions now appear in a pop-up window. You must scroll down and click the Agree button at the bottom. 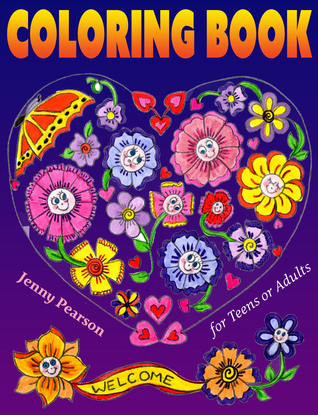 Click here to find Coloring Book for Teens or Adults on Amazon. 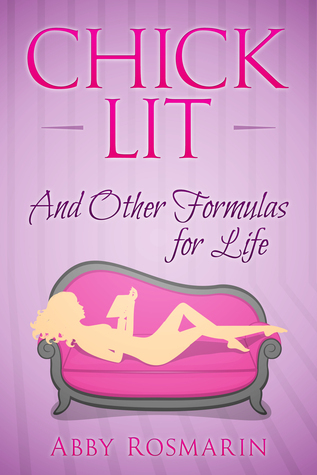 Click here to find Chick Lit on Amazon. 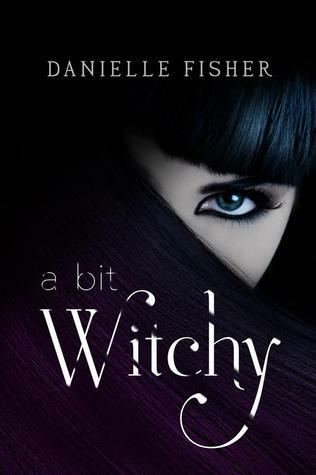 Click here to find A Bit Witchy on Amazon. Click here to find The Dust in Sunlight on Amazon. 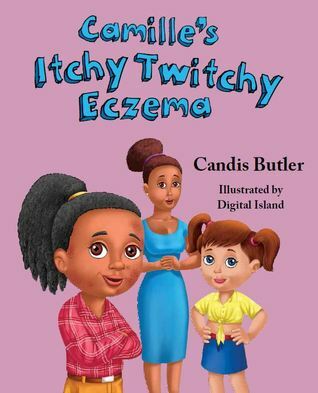 Click here to find Camille’s Itchy Twitchy Eczema on Amazon. 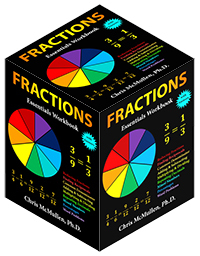 4,500 Multiplication Problems with Answers Practice Workbook by Chris McMullen, Ph.D.
Click here to find 4500 Multiplication Problems with Answers on Amazon. Click here to see all Goodreads giveaways. 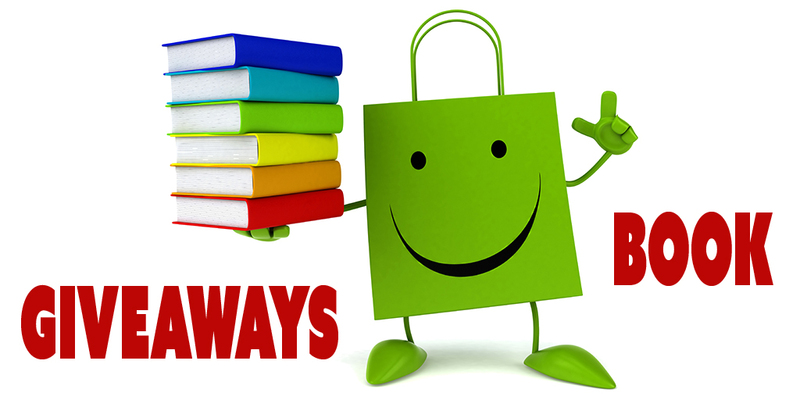 If you’ve browsed for giveaways in the past, check it out to see how it’s changed. Amazon paid $0.00514 per KENP read in August, 2015. Compare that to the $0.005779 pages read rate in July, 2015. That’s a drop of 11%. If you had 10,000 pages read in July, would earned $57.79, but for the same 10,000 pages read in August, you only earned $51.40. On the one hand, an 11% drop is significant, but on the other hand, unless you had a million pages read through Kindle Unlimited and Amazon Prime, that 11% doesn’t amount to a whole lot. And if you had a million pages read, you’re thriving in the program (compared to most authors). But the concern really isn’t over one drop in the payout of 11%. The concern extends beyond that. 11% is a pretty sizable change. It’s not a small fluctuation. So one concern is stability. If it drops 11% in August, another 11% in September, another 11% in October, and so on, that would really add up. Since these are the early days of KENP, we don’t have much data to go on. We don’t yet have a pattern of KENP payouts established to lend us a feeling of stability. What we really need is more data. But authors also want to make sound decisions now. And it will take a few months to get solid data. I expected the pages read rate to drop toward $0.0050. What I didn’t expect is for it to jump straight there in one fell swoop. And hence stability is in question. But I think it’s premature to run for the hills. One drop of 11% isn’t too much for me. Maybe stability will be there. I need a few months’ more data to assess this. If it levels off around $0.0050, that will be what I had been expecting anyhow; it will just have gotten there faster than I was predicting. If it drops even below $0.0050, the question will be how much below. 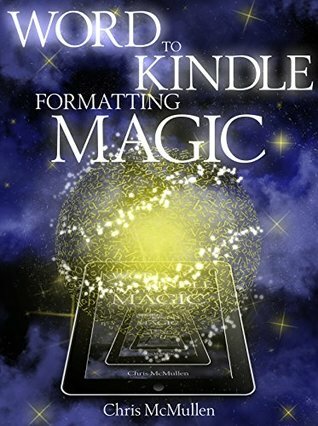 What’s your magic number, where if it goes below that, you feel like KDP Select isn’t worth it? This magic number will be different for everyone, but it’s worth thinking about. We’re not near my magic number yet. And what’s your backup plan for the worst-case scenario? It wouldn’t hurt to sketch out a backup plan and store it in a safe place. If you’re not below your magic number, I wouldn’t initiate the backup plan yet. But it’s smart to have a plan in mind, just in case. I feel I’ve given too much attention to this lone 11% drop. Who knows what next month will bring? We don’t have enough data yet to see a pattern emerge. But there are other positive indicators that may help offset that 11% drop. Let’s look at a few of these. The KDP Select Global Fund is suddenly more stable than ever. It was approximately $11M for May, June, July, and now $11.8M in August. It’s starting at $11M for September. They used to commit a mere $3M to the pot, and then raise it to $8M or more. Now they commit to $11M on a regular basis. So while the pages read rate may have dropped 11%, the KDP Select Global Fund has been very stable, more stable than ever. KDP Select authors are earning a combined $10M per month just from KENP read. Amazon has paid out over $100M in royalties just for KDP Select borrows in 2015. Approximately 2 billion pages of KDP Select books are read through Kindle Unlimited and Amazon Prime per month. That’s a huge readership. And it’s been a consistent readership (if anything, it appears to be growing). And this readership supports indie books. Not every indie book, but the top KDP Select books are thriving in Kindle Unlimited. Most of these readers are reluctant to buy books any other way. Although the per-page rate dropped from $0.005779 to $0.00514, the KDP Select Global Fund rose from $11.5M to $11.8M. Amazon paid $300,000 more in KDP Select royalties in August than they paid in July. Overall, KDP Select authors earned more than ever. So although they paid 11% less per page, there were more than enough additional pages read to compensate overall, enough such that Amazon actually paid more money in royalties overall. Either there were (A) more Kindle Unlimited subscribers or (B) Kindle Unlimited customers are reading more than usual. Either way, in general, KDP Select books benefited from this additional reading and the extra $300,000 paid in KDP Select royalties in August compared to July. Another sign that the program is thriving is that the number of books in Kindle Unlimited steadily rises. Even through the new Kindle Unlimited 2.0. Even through the 11% drop in the per-page rate. The number of books in Kindle Unlimited keeps climbing. It’s up to 1.1M presently. It was about 1M just a few months ago, but despite the new program and even the drop in the per-page rate in August, still 100,000 more books have added in the past few months than have dropped out. 127,000 books were added to Kindle Unlimited in the past 90 days. Whereas only about 27,000 have dropped out during this same time. For every book that has dropped out, 4 more were added in. 44,000 books were added just in the last 30 days. The number of books added to Kindle Unlimited each month keeps rising. There is plenty of content for customers, and plenty of new content each month. The top KDP Select books are thriving with millions of pages read per month, and the customers enjoying those top books want more top books to read. And those authors feel motivated to write more similar books. And other authors want to become KDP Select All-Stars, so they’re working to try to please Kindle Unlimited customers. Many books benefited from the extra pages read and higher KDP Select Global Fund for August. For many books, overall, this made August better than July, even though the per-page rate dropped. WHAT IF YOUR BOOK DIDN’T BENEFIT? There are many complicating factors involved in a book’s sales. Most books go through sales slumps at some time all on their own. If your book’s sales slumped in August, it’s quite possible that it had nothing to do with Kindle Unlimited. 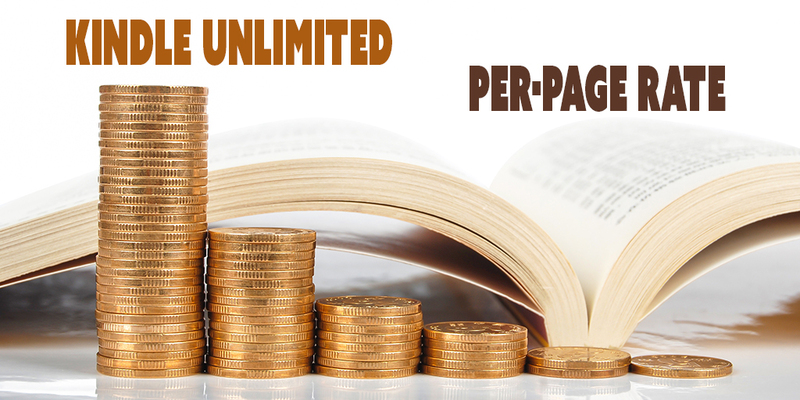 In fact, more pages were read through Kindle Unlimited than ever, and the payout was $300,000 more than in July. August is typically a slow season for very many books. If your book’s sales slumped in August, it may just be a seasonal effect. The interesting thing is that more pages were read in Kindle Unlimited in August, even though sales often slump in August. Overall, this seasonal effect didn’t impact KDP Select borrows (although it surely did for some KDP Select books, overall there were more pages read in August than July). Many authors changed their publishing and marketing strategies when Kindle Unlimited 2.0 rolled out. Many authors believed that Kindle Unlimited 1.0 favored short books, and now many authors believe that Kindle Unlimited 2.0 favors long books. What Kindle Unlimited 2.0 favors is reader engagement. As many other authors adjust their marketing strategies, that impacts other books. Marketing, of course. For a book that has appealing content, the trick is to get more customers to learn about your book. Learn free and low-cost marketing strategies, and try them out. Marketability is another factor. Are you writing the kinds of books that appeal to Kindle Unlimited customers? 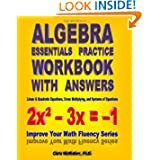 Are the cover, blurb, and Look Inside helping to close sales? If so, your book is more likely to benefit from KDP Select borrows in addition to sales, and those borrows can help your sales rank. Are you making the most of Kindle Countdown Deals? Just scheduling the promotion isn’t apt to be as effective as searching out websites that can help you promote the Countdown Deal. Are you using AMS wisely? Most authors tend to overbid. The safer route is to bid very low, wait a few days, raise your bid only slightly if necessary, wait a few more days, and use patience and frivolity to your advantage. It may take a month or more to generate significant activity, but it’s less risky that way. Also, once you have several similar books out, with good marketability, that improves your prospects for advertising success. Personal interactions can go a long way. When you interact with your target audience, a personal interaction is more likely to inspire a sale during a slow period, and it’s also more likely to lead to a review. Get a few sales in a slow period and it can help you rebound. Write more books. And do some research to see what kinds of books are selling. Which are a good fit for you to write. For which customers are likely to support indie books. Is the grass greener in KDP Select or outside of it? That’s a good question, and it may depend in part on the particular book, as well as the marketing capabilities of the author. 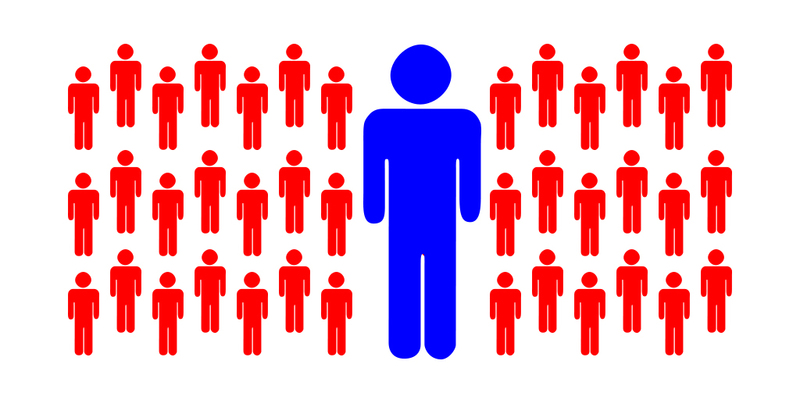 If you can build a strong following all on your own, you stand better prospects of growing a readership outside of KDP Select. But it’s not easy to do. Another big factor is sales momentum. If you start in KDP Select, once you get initial borrows and sales, you have sales momentum. Each Kindle Unlimited or Amazon Prime borrow helps your sales rank. If you now opt out of KDP Select, you lose that benefit on sales rank. You lose your momentum. Sales momentum is really tough to build. Once you have it, you don’t want to lose it. But you lose part of it when you switch to the other side. Similarly, if you have sales momentum on several sites and join KDP Select, you lose it on those other sites. Kindle Unlimited has a huge readership (2 billion pages read per month of KDP Select), which supports very many indie books (through KDP Select). Hence, it’s appealing to start out in KDP Select. You can opt out after 90 days (but you must uncheck the auto-renewal box to do this successfully). But you risk losing that sales momentum. One intriguing idea floating around is to write multiple series (or similar books) under multiple pen names, and rotate one (or more) of these series in and out of KDP Select. One idea behind this is diversification, and to try to reach customers on the other side of the fence. But the risk in this strategy is that rotating a title in or out of KDP Select will hurt sales momentum. It is wise to have a backup plan in place. But I wouldn’t do anything to risk hurting sales momentum unless and until the per-page rate goes below your magic number. KDP Select has been good to me. I have pages read, but where I’ve seen the largest increases are (A) Kindle sales and (B) paperback sales. I have no doubt that this is largely due to KDP Select. First, all those KDP Select borrows improve my sales ranks. Secondly, I’ve learned how to make effective use of AMS. It took a couple of months of overbidding to develop my low-bid strategy, and to refine my targeting, and it’s begun to pay dividends. Not every one of my books has benefited (nor are they all in ‘my’ name), but overall my Kindle sales and paperback sales have improved. Not all authors are thriving in KDP Select. But many are, and the potential is there.